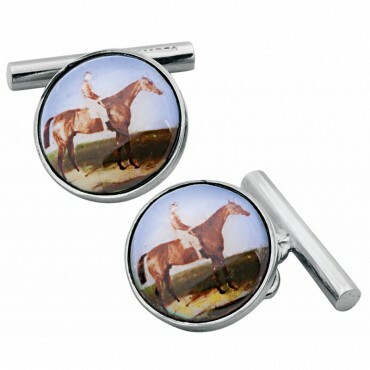 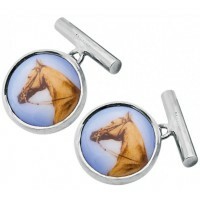 These distinctive men’s cufflinks are a guaranteed talking point and a great way to show your love for horse riding in all its forms. 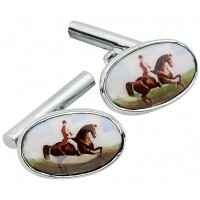 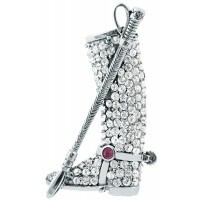 The body is finely crafted from quality hallmarked sterling silver and the horse rider image sits on the finest enamel. These cufflinks are very collectible and a real treasure. 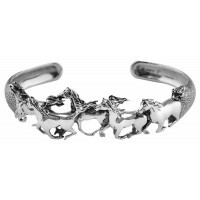 A great gift for any equestrian aficionado.